The path below is being used to help visualise Bill's journey and the unique contribution that may be required from the wider multi-disciplinary team. Bills journey will now focus on anticipatory care planning discussions. These discussions may include appropriate goals of care, preferred care wishes which may include preferred place of care and place of death. 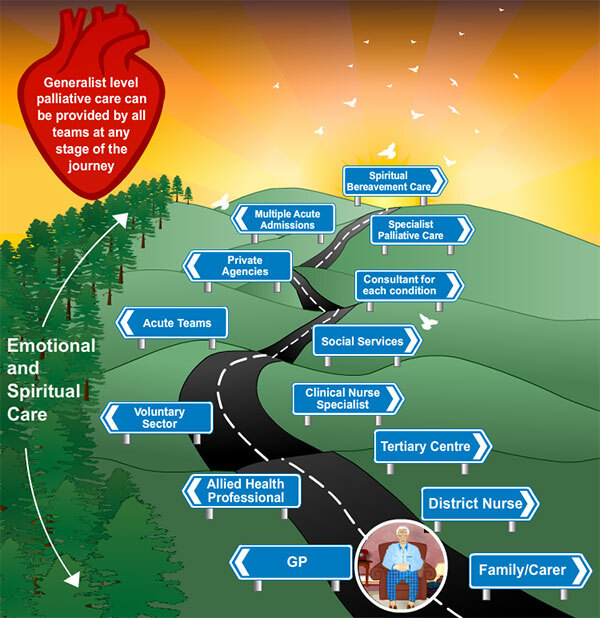 Generalist level palliative care can be provided by all teams at any stage of the journey and should encompass emotional and spiritual Care.